I've never really had a successful campaign with Dungeons & Dragons, but a few friends and I did have an overly successful go at Pathfinder not too long ago. I'm too much of a casual pen & paper RPG player to be able to tell the difference. I played as an elf, and I shot arrows. It was pretty sweet. Dungeons & Dragons dates way back in video games with very loose interpretations like the original Final Fantasy to more deep RPGs like BioWare's and Black Isle Studios' Baldur's Gate and Icewind Dale games. Pathfinder has only been around for about half a decade, meaning its high time for the popular alternative to get a video game adaptation, and it has scored just the right developer to do it. Obsidian Entertainment has partnered with Paizo Inc. to create games that take place within the Pathfinder universe. The studio is made up almost entirely of former Blask Isle Studios employees and have a long history of excellent RPGs under their belts from Neverwinter Nights 2 to its current Kickstarter project Pillars of Eternity. "At Obsidian we have a long history of working with the greatest RPG franchises, and we're thrilled to get to play in the Pathfinder universe now," says Obsidian CEO Feargus Urquhart from GenCon. "We're huge fans and can't wait to bring what we do in the electronic gaming world to Pathfinder fans everywhere". Sounds like a match made in heaven, and the first game is going to be a tablet based collectible card game called Pathfinder Adventure Card Game. Characters will be able to grow as more cards are collected. Hopefully, if this game becomes a success, we can skip the whole idea of "cards" in the next game and get right into the nitty-gritty roleplaying experience most fans love to see from Obsidian. It will be nice for one game, but we don't need another Hearthstone, do we? "Obsidian is a video game developer at the top of its game", said Paizo CEO Lisa Stevens. 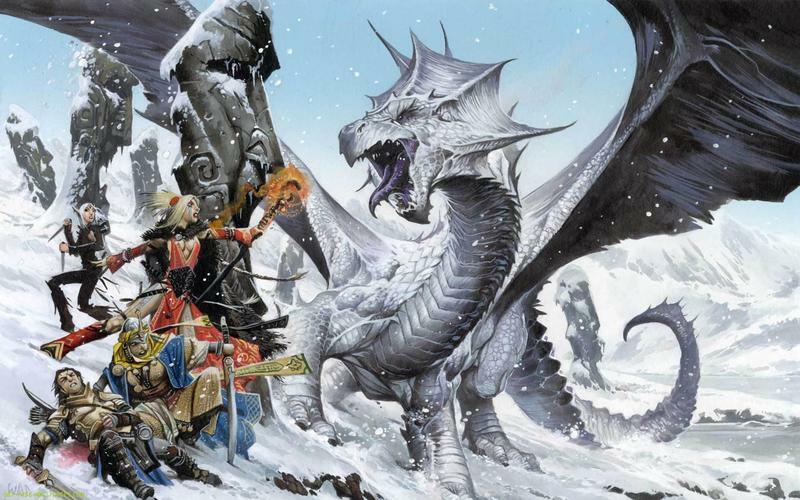 "Being able to bring that type of experience and passion to Pathfinder can only mean great things, both for our loyal Pathfinder community and for all fans of great [card-based role-playing games]." What do you think? Are cards the way to go, or would you rather see something more along the lines of Pillars of Eternity?